Chinese citizens are leaving their homes in search of the best care available, or care that they desperately need. 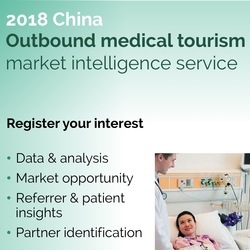 Some 483,000 people travelled outbound from China for healthcare in 2015. These medical travellers spent USD6.3 billion on treatment and a further USD3.4 billion on travel and accommodation.